Fertile Heart Mother’s Day Extravaganza: Ditch the Coping and Get Some Red Satin! How does Orphan Annie become a Mommy? You know we really did conceive our inconceivable baby on red sheets. True they were red flannel sheets. Not really sure why I didn’t go for satin. But it worked! 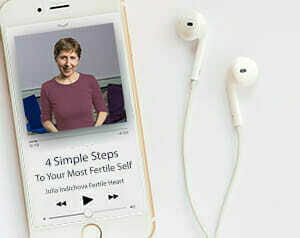 As every year, the emails with subject lines, “Coping with Mother’s Day,” Infertility and Mother’s Day: Tips for Dealing with Mother’s Day Blues.” are pouring in from all directions. So as each year, this is my short and sweet Mother’s Day card for all of you awesome flowingly fertile red satin mamas chosen for this magnificent assignment, called Infertility. I know, it doesn’t always feel like such a magnificent assignment, but if you care to stop and drop all the way down into the floor of your fertile soul, you’ll hear a queit little voice letting you know that that exactly what it is! So if any tearstained little Orphans raise their arms toward you asking to be picked up, you know what to do. As for tips, Mother’s Day is a great day to practice being a mommy. How would you take care of your adored daughter if she was travelling the scenic road to motherhood? I bet the Ultimate Mama in your very own fertile heart knows just what to give you to sweeten the day! And of course you have a toolbox full of I.B.O.W. tools to reach for if you get stuck. Here is a lovely remedy to open the heart and access the tenderness of the Ultimate Mom. I adapted it from page 175 of The Fertile Female. Intention: To separate the essential from the illusory. Know, sense, and feel that you absolutely, without the slightest doubt, have all the provisions for the journey that can bring this image into your waking reality. Know, sense, and feel that what you’re yearning for will come through your deepening relationship with yourself, your loved ones, the world around you and the relationship with the child. The relationship that has begun when you first realized that you wished to be a Mom. Breathe out and open your eyes. Would love to hear about some of the supremely self-indulgent, unreasonably extravagant gifts you’re giving yourself this Sunday! Today I want to an organic juice bar that I have been wanting to go to for a while but never had the time and then treated myself to a mid day yoga class. I feel great! Thank you for this timely post Julia. As far as I can see this is the only community that does not have a thread about how to cope with mothers day and how devastating it is for people to deal with. I am so grateful to be part of the fertile heart community and it has changed my life! For this mother’s day I inadvertently bought myself a hot little red dress…just caught my eye when I was in the store. I wore it this weekend for my neices communion and got quite the reaction from my DH! Evertime I wear this dress it is going to be my celebration of this journey and the walk towards parenting a child. Thank you Julia for continuing to remind me to ditch the coping and surviving game. I remember last phone circle I dialed in a bit late but just in time to hear you say “…feeling frozen and fearful in the morning is always the orphan”. I needed that reminder. I’m going to stick it up on the mirror. I grew up in a Catholic tradition and one of the strongest messages I took in was that things were supposed to be hard, and suffering was something to be expected. It was normalized… “mourning and weeping in this valley of tears…” was the job description. My life force was suspect. My optimism and joy not to be trusted. Nowadays it’s not just the dominant religious messages that are feeding these orphans. The wider media messages are frightening and disempowering, distracting us from our spiritual hearts, bodies, and truth. Your voice continues to call us to drop back into this healing space where all things are possible and life is a truly mysterious and amazing adventure. As long as we honour our spiritual practice we will be guided. And of courses there will be fear grief and despair, but that’s not the whole story. Thank you for this clear-sighted reminder. Well-meaning friends sometimes tell me: just relax and don’t think about it. But they would never say that if I was looking for my dream job, or saving up to buy a home. “You are in the process of purchasing your first home? Oh, I know just what you should do: relax, eat ice cream, and forget about it.” Nonone would say that. Therefore, I am so grateful that I found your tools at just the right time. I feel more in touch with myself and am learning to listen to what I really want and need in a given moment, and to follow these longings and pointers towards my next steps. This mother’s day weekend I spent many hours devouring a book on breast feeding, a pleasure I would have thought of as ridiculous or embarrassing before. But why should I not? I read stacks of books on dog training long before I got my first dog too, that is just who I am. I love that the OVUM approach fosters constant learning, stretching, and curiosity about myself and my world, and reminds me to notice the gifts that this journey brings. Happy Mother’s Day Julia! I spent some great quality time with my Mom and we laughed so much. Appreciating her gives me real strength on my own journey to becoming a Mom. Love this! Yes, red satin indeed. Great idea! Thank you for the reminder of the importance of taking care and being a mother to my orphans. Happy mother’s day Julia and to all the ladies! 2 years ago after attending your workshop I told my husband he should be wishing me a happy mother’s day! He looked at me like I was crazy since usually mother’s day for me was hard while trying to conceive for so long. After the workshop, I knew inside I was a mother and I hope all the ladies on here believe they are fertile mamas as well. Happy mother’s day to all! Happy Mother’s Day Julia! I’m planning on putting on my red sheets for this weekend. This is beautiful!! My husband and I were just today discussing our “miracle” daughter. She was a “pickle bucket baby”, but our beautiful girl nonetheless. We’re so hoping to give her the little brothers she wants. They’re just taking a bit more to make it to us.